Coalition of Bauchi State Students and Youths Movement has endorsed Dr Muhammad Ali Pate of the People’s Democratic Party (PDP) for governor of the state in the forthcoming governorship election. 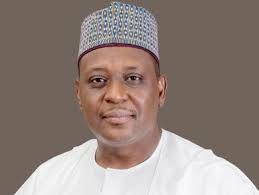 A spokesman of the coalition, Prince Muhammad Sani Hassan, disclosed this to newsmen, yesterday, in a press conference in Bauchi. Hassan said they had unanimously agreed to support and endorsed Pate because of his experience, committiment and dedication towards ensuring a better Bauchi State. “Dr. Pate ranks highest among all candidates contesting for the governorship for the state, judging by his giant strides and positions he held, both within and outside the country. “He was former executive director of primary health care, former minister of health, former director of World Bank in charge of Africa and Asia and, also, served in many other positions across the world. “Dr. Pate is the right man at the right time because he has all it takes to move Bauchi state to the next stage of development without rancour or discrimination; he has all the connections around the world that investors will come and invest in the state for our youth to get employment,” he added.